Till now, the app has sold merchandise worth Rs 5.2 Cr sold so far, 15.75 lakh units sold. Furthermore, the sales are expected to surge in the run-up to the Lok Sabha polls, expected in the next few months. On the occasion of Prime Minister’s 68th birthday on September 17 last year, the merchandise was put on sale on the application. T-shirts were the highest-selling items, which so far accounts for almost half of the total sales. The merchandise is being sold via three main outlets — NaMo App, e-commerce sites Amazon and PayTM, and BJP’s regional offices. According to the party sources “For large bulk orders like 500 to 1000 T-shirts, a discounted rate is offered.” According to sources, at least two BJP state presidents said, to meet the high demand for the merchandise among BJP workers they were considering bulk orders. 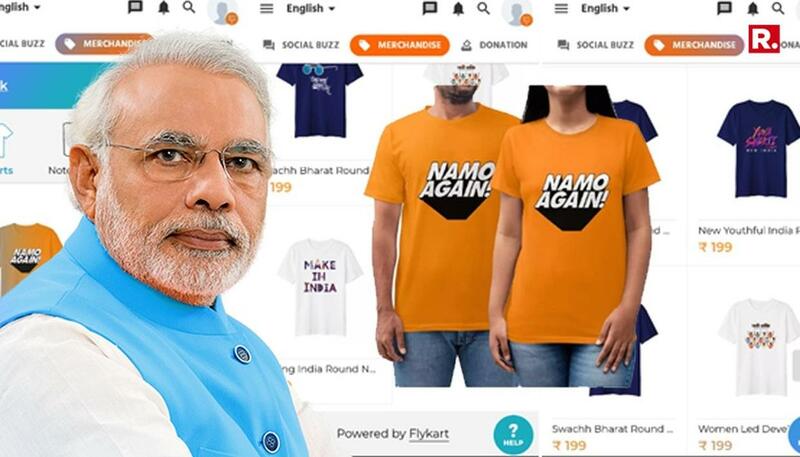 The online platform on Narendra Modi’s App for sale of merchandise is called ‘FlyKart’. This platform has the license to manufacture these products using the Intellectual Property Rights owned by BJP.